Voting to increase state motor fuel taxes to support transportation investment doesn’t prevent state lawmakers from winning reelection, a new ARTBA analysis reveals. The study found that 91 percent of more than 2,500 state legislators in 16 states who supported such legislation between 2013 and 2015, then ran for another term of office, retained their seat in the next general election. A total of 21 states have increased fuel taxes since 2013, including Tennessee, Montana, and Indiana just this week. 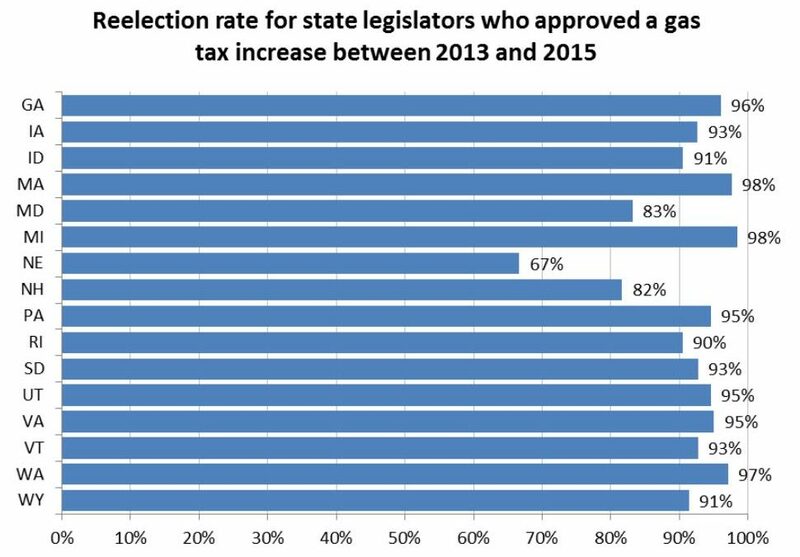 For Republican state legislators who supported a gas tax increase, 95 percent were reelected, the same rate as those officials who voted against the measures. Democrats who voted for a gas tax increase were reelected at 89 percent, compared to 86 percent who didn’t support the same legislation. Read the full report from ARTBA’s Transportation Investment Advocacy Center™ (TIAC).